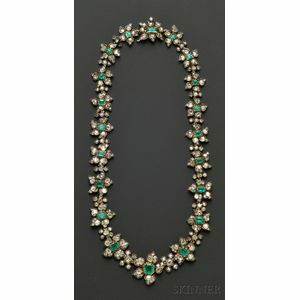 Antique Emerald and Diamond Necklace, France, composed of floral links each centering an emerald-cut emerald graduating in size from approx. 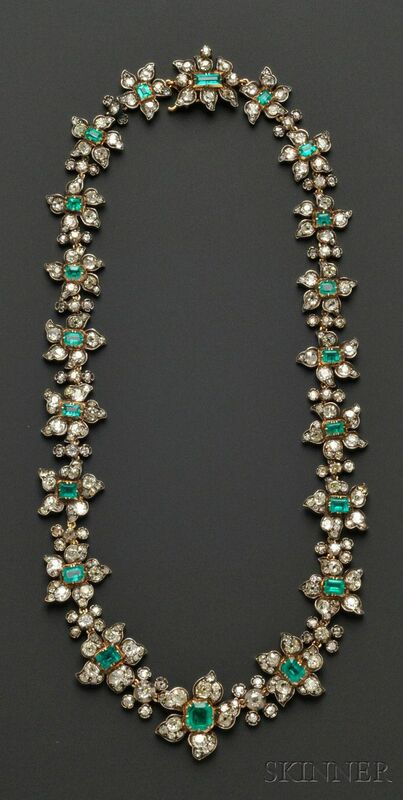 7.75 x 7.15 x 5.30 to 3.65 x 3.25 x 1.85 mm, petals set with old mine-cut diamonds, approx. total diamond wt. 28.50 cts., silver-topped 18kt gold mount, lg. 18 1/4 in., guarantee stamps.